The Food Alphabet and More: Buy 1 Take 1 Frappuccino at Starbucks! 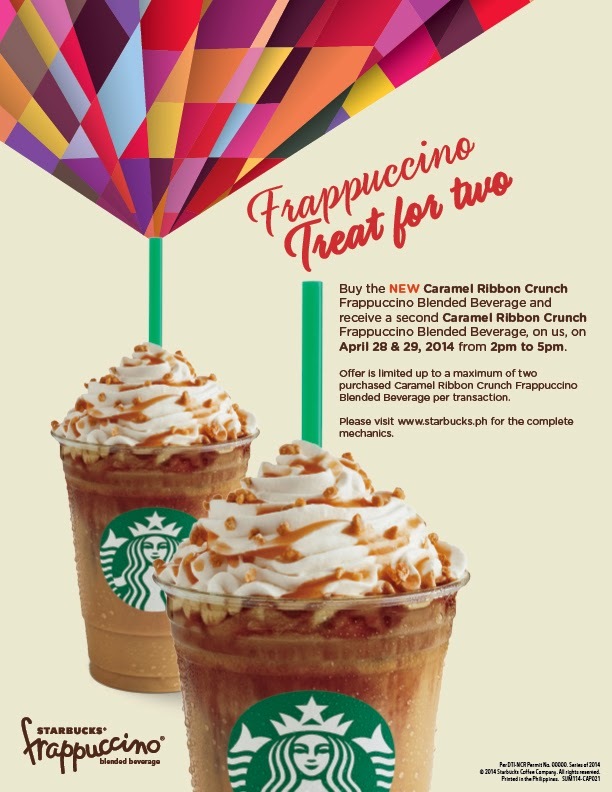 I have to rush tomorrow in the afternoon with a friend in Starbucks to be able to avail this great deal. Perfect for summer! Yes yes you have 1 hour left to 5pm!